More people visited Dubai in 2017 than in any other year on record, making it a landmark 12-month period for the emirate’s tourism sector. While the figure of 15.8 million overnight visitors (up 6.2% year on year) made headlines across the industry, the data behind the numbers provides compelling insight into the trends that are driving the development of the tourism sector and transforming Dubai into a world-class destination. Dubai’s Department of Tourism and Commerce Marketing’s (Dubai Tourism) Annual Visitor Report for 2017 reveals that in terms of overall numbers, Dubai’s top 10 source markets contributed 59 percent of total tourist volumes, leaving a significant 41 percent to be accounted for by a disparate group of countries ranging from the Philippines and Australia to Lebanon and Italy. India retained its position as Dubai’s top source market in 2017, with more than 2 million visitors, up 15 percent year on year, followed by Saudi Arabia (1.529 million) and the United Kingdom (1.265 million). Dubai remained a hugely popular destination with family holidaymakers in 2017, with three out of four visitors being families or couples, and the average travelling party size being 2.5 people, according to the report. Individuals accounted for just 14 percent of visitors, followed by friends of residents (eight percent) and work colleagues (3 percent). Despite its growing reputation as a major business hub, the overwhelming number of visitors to Dubai in 2017 (73.8 percent of the total) were tourists, while 13.9 percent described themselves as friends and relatives of residents. Business travellers accounted for 11.5 percent of the 15.8 million visitors in total. The vast majority of visitors (77 percent) also stayed in paid accommodation, while the gender mix was mostly evenly split, with female travellers accounting for 47 percent of the total. Overall visitor satisfaction with Dubai as a destination rose to a remarkable 99.4 percent, with 69.1 percent of survey respondents describing themselves as ‘extremely happy’ with their experience in the city. The largest increase in satisfaction came from German and French visitors, according to the report. Importantly for the city’s growth as an international tourism destination, 99.3 percent of all survey respondents said they’d likely recommend the city to friends and family, with the biggest number of advocates percentage-wise coming from China and Germany. China looms as one of Dubai’s most important source markets for both tourism and investment. In 2017, 764,000 Chinese tourists visited Dubai, making the People’s Republic the emirate’s fifth most-important source market and marking a 41 percent increase in arrivals year on year. This trend has continued in the first three months of 2018, with 258,000 Chinese visitors arriving in the city, up from 230,000 during the same period in 2017. The number of Chinese overnight tourists to Dubai jumped 60 percent in January alone, peaking at an impressive 102 percent. “Our aim is to not only market and promote Dubai as the ‘must visit’ holiday destination to consumers in China and the MENA regions, but also to collectively enhance the Chinese consumer experience through future-focused solutions during their travel to Dubai,” comments Issam Kazim, CEO of Dubai Tourism. 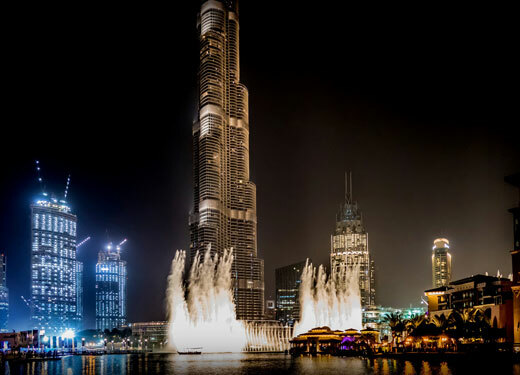 In terms of popular attractions, Dubai Mall topped the list, drawing a remarkable 97 percent of visitors to the city, followed by the nearby Dubai Fountain with 81 percent. The city’s growing heritage and cultural districts attracted 63 percent of all visitors to Dubai.